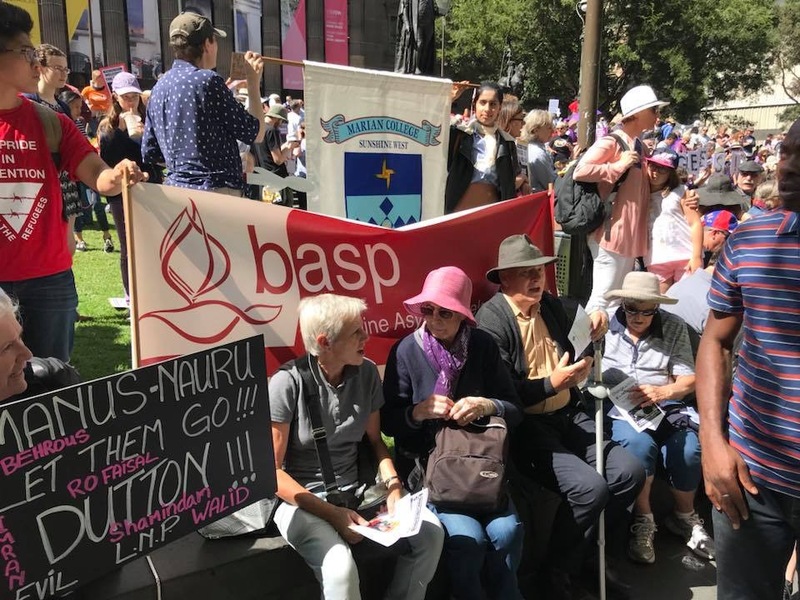 A number of Brigidine Sisters were able to join with thousands of others on Palm Sunday in support of asylum seekers and refugees, especially those still in detention on Manus Island and Nauru. Other Sisters unable to attend were there is spirit and supporting our Sisters and colleagues in ministry by prayer. 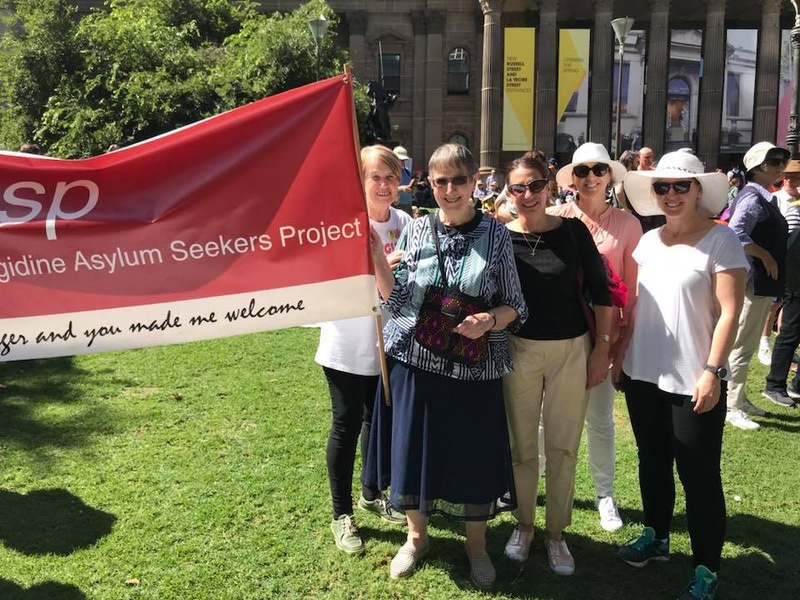 Brigid Arthur csb and others with the banner representing the Brigidine Asylum Seekers Project. 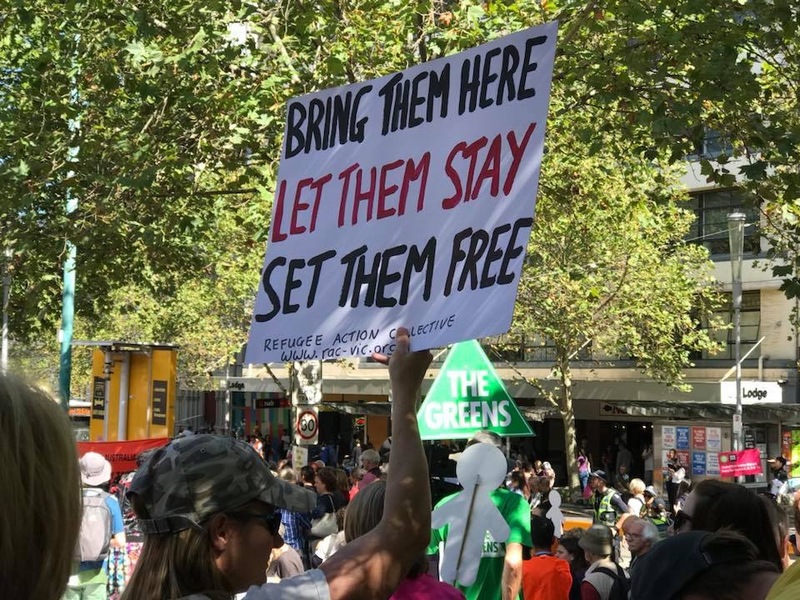 Brigid was one of the organizing group who planned the Palm Sunday rally in Melbourne. 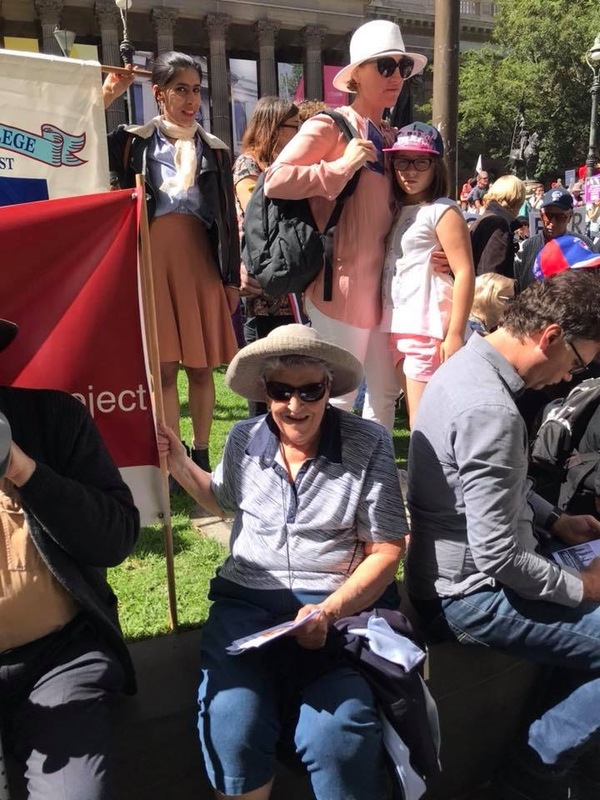 Doris Testa csb and others listening to the speakers at the rally. Jude Caldwell csb attended and held the BASP Banner during the rally.